What’s Up With Trans Fats? Some of you may have heard the word “trans fats” and most of you probably know that it isn’t a healthy fat….but do you really know what they are and why they aren’t good for you? Well when I learned about what they were and why our bodies hate them, I just had to share it with someone! So basically trans fats come from the processing (hydrogenation) of fats to make them shelf-stable. Some great examples of foods with trans fats are: processed foods (with dairy products as main ingredients), shelf-stable coffee creamers, refrigerated dough products, margarines and shortenings, and of course sugary treats like doughnuts, cookies, etc. Basically anything that is packaged has some trans fats, and that is because trans fats are only a result from the processing of fats. Now, that you know what has trans fats….why are they so bad for us? Well our bodies actually can’t recognize a trans fat, and therefore our bodies don’t know what to do with them. We can absorb, use, or gain any benefits from trans fats. See how the two hydrogens are on opposite sides? Our bodies literally can’t recognize this. To truly understand this hold up your left hand like you’re about to give someone a high five….do it, do it right now. Is your hand up? Okay, good. Now put your right hand up to it too, like you’re giving yourself a high five, but your palms aren’t touching. See how you’re thumbs don’t line up? Your hands are the same shape, but can line up properly. 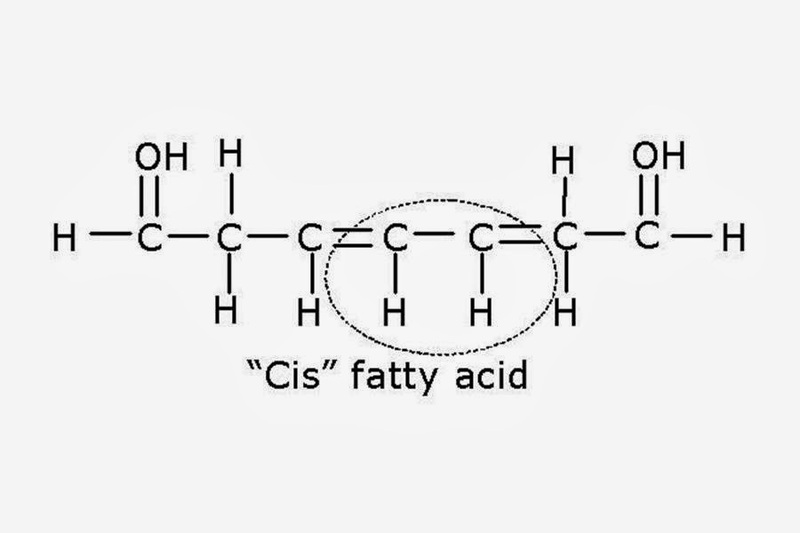 Well that is what it is like when you eat a trans fat, your body doesn’t have the recognition of a fat shaped like that. So from now on, try to check for trans fats on nutrition labels, or better yet….avoid processed fats! The FDA is slowly aiming towards the reduction of trans fats, but knowing the FDA it may be a decade before any changes get made. Make it easy on your body, and avoid the trans! !